Local Moving Companies Lewisville | Moving Truck TX | Moving Boxes 75067 - Wise Moving Co. Wise Moving Company, LLC strongly believes that our customers should be well informed about all aspects of the moving/relocation process. 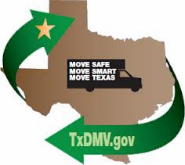 According to Texas Department of Transportation (TXDMV), all moving companies are to provide you with a booklet titled “Your Rights and Responsibilities When You Move”.